Stevens accepts transfer students for the fall and spring semesters. 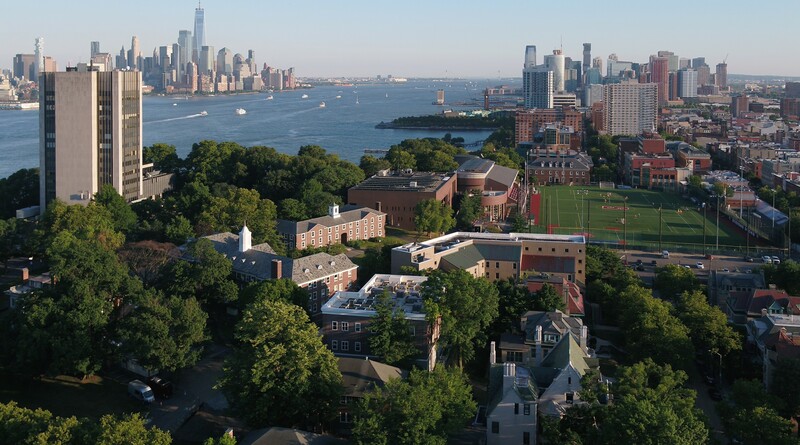 Learn more about processes, timelines and requirements for applying as a transfer student and how your credits from a community college or university might apply towards your degree at Stevens. Detailed syllabus for each college course taken and a completed Transfer Student - Credit Evaluation Form. Final high school transcript with graduation date. One letter of recommendation from a professor (we recommend you have your professor upload their recommendation letter online through the Common Application using the form titled “Academic Advisor Report”). International transfer students must demonstrate English proficiency (see below for requirements). Midyear Report: A midyear report is not required but is useful if you would like Stevens to be aware of your progress in the courses that you are currently taking. It is strongly recommended if you’re seeking to transfer when you are currently in your first semester at college. Registrar’s Report: A Registrar's Report verifies your enrollment and academic standing. It also asks for your college registrar to upload your official transcript online. This form is not required, but it is helpful to us if your college provides this service. Spring transfers will receive admissions decisions at the end of November; Fall transfers will receive notifications at the end of June. A transfer credit evaluation is completed as part of the application process and will be made available to admitted students prior to their tuition deposit deadline. To ensure timely review, please submit all official transcripts, course syllabi, and Transfer Student - College Credit Evaluation Form by the application deadline. At the time of admission, you will also receive information on any financial aid you’ve been awarded if you have applied for financial aid by the deadline. You will have three weeks from the date of your admissions notification to submit a tuition deposit and confirm your enrollment at Stevens. You must file the FAFSA and CSS Profile in order to be considered for Stevens financial aid as well as federal and state aid. Designate Stevens as the recipient of your FAFSA application by using our federal school code number: 002639. Designate Stevens as the recipient of your CSS Profile information by using our CSS school code: 2819. If you are a New Jersey resident who received EOF funding at your last college, you should make a note of this on your Stevens application. Members of Phi Theta Kappa are encouraged to submit, with their application of admission, proof of membership (membership card or certificate) in consideration for a Phi Theta Kappa Scholarship of no more than $5,000. Stevens awards both merit-based and need-based awards to transfer students. Students who are applying for a second degree (seeking a bachelor’s degree after completing a bachelor’s degree at another institution) are not eligible for merit- or need-based financial aid, but you may qualify for a limited selection of government loans. International students are only eligible to receive merit-based awards from Stevens. Learn more about international student resources for financial aid. Stevens awards transfer credit by matching your courses with equivalent Stevens courses. The more information we have, the better chance you have of receiving credit. To be evaluated for college credit, you must submit three documents: Transfer Student - College Credit Evaluation Form, a detailed syllabus for each course, and an official college transcript for each course. Ask your instructor or department head to provide you with a course syllabus or outline, if you don’t have one. If you have attended multiple institutions, please submit official transcripts and course syllabi for all coursework you wish to have evaluated for credit. To receive a timely credit evaluation, all materials must be submitted by June 1 for all students applying for fall transfer, and November 1 for all students applying for spring transfer. An official AP score report is required for any advanced placement exam credit. Read more about transferring advanced placement credits. International students: All documentation including course syllabi must be translated into English and accompanied by a credential evaluation report from WES or ECE. The Office of Undergraduate Academics will notify you of the results of your credit evaluation, and the Registrar will be provided with the information they need to incorporate the evaluation into your academic record. You must receive a C or higher in order for the credits to transfer. If you earned credits five years or more from your intended Stevens date of attendance, these credits will be evaluated on a case-by-case basis. Foreign language credits have no equivalent at Stevens but may satisfy general elective credit, if approved. Stevens does not guarantee that credits earned elsewhere will fully satisfy the Stevens course requirements. If you’re transferring into an engineering program, in most cases, it will take you three years to complete the Bachelor of Engineering degree. Stevens offers a highly innovative and unique curriculum which includes eight semesters of engineering design courses culminating in a capstone senior design project. Due to this aspect of the curriculum, it is unlikely that you will be able to complete six design courses in one year to be ready for the senior design capstone project the following year. Therefore, we advise engineering transfer applicants to plan for a three-year course of study. You have the right to a fair and quick assessment of your credits. Should you have any questions regarding the transfer credits that have been awarded, please contact the Transfer Credit Coordinator in the Office of Undergraduate Academics. Once the assessment of transfer credits is completed by the Office of Undergraduate Academics, you may request to have additional credits evaluated through the Registrar's Office. It is your responsibility to respond promptly to requests for additional information needed by Stevens. You must adhere to all deadlines communicated by the Office of Undergraduate Admissions. Q. What if the credits I am submitting were completed more than five years ago? A. Stevens faculty review all courses submitted for transfer credit evaluation. You must provide accurate course syllabi to assist the faculty in evaluating the credits. Q. Will all of my credits transfer to Stevens? A. The content of each course varies with each school and therefore cannot be determined without the appropriate materials. Q. Is there a maximum amount of credits that Stevens will accept for transfer? A. No, but you are required to complete at least 50% of your coursework at Stevens in order to receive a Stevens degree. Q. Are pass/fail courses eligible for transfer credit? A. No, not typically. However, Physical Education courses may transfer. Q. How long will it take for my transfer evaluation process to be completed? A. It could vary depending on the time of year, but the average is two to three weeks from the time that all course information has been submitted. Q. What if I am not satisfied with my credit evaluation? A. Should you have any questions regarding the transfer credits that have been awarded, please contact the Transfer Credit Coordinator in the Office of Undergraduate Academics.